At PSG we are very proud of our coaching community. We value highly all the experience, wisdom and passion for coaching this great community shares. Every month we introduce you to one of the coaches from the community. This is a brilliant opportunity for you to tap into this great resource pool and get in touch with these quality coaches. 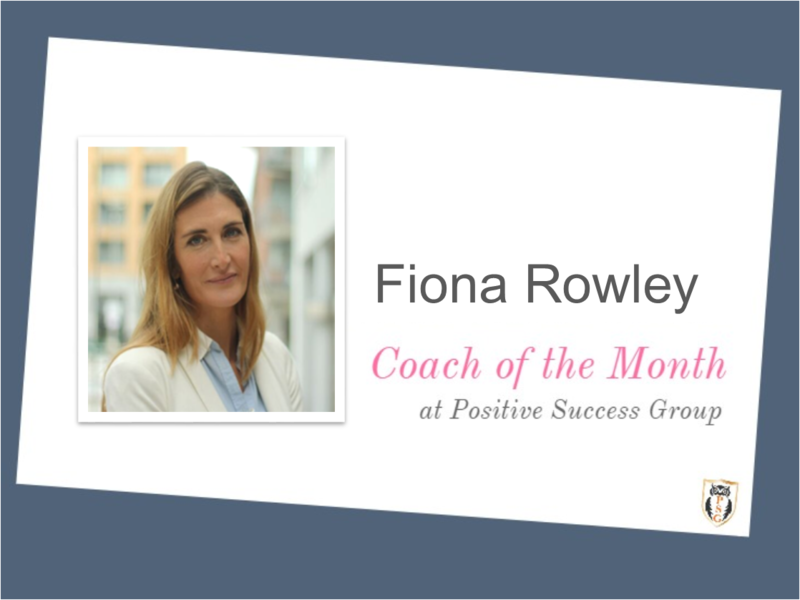 In April we are excited to announce that our Coach of the Month is Fiona Rowley. 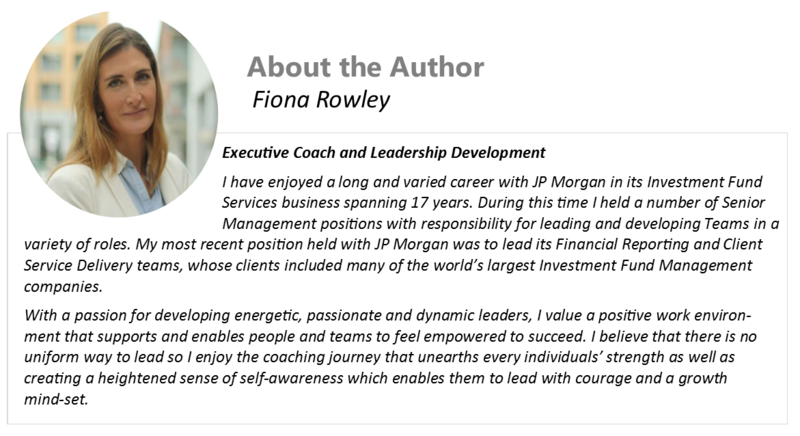 Take a look at the 3 questions that Fiona answered about her lessons learnt, fulfillment gained and her predictions on the skills that clients will want to develop in the first half of 2017. Be open and share – There is nothing as powerful as hearing an experience first-hand, be it successful or not successful, to give people context to support their growth. I garnered so many valuable insights from people who were generous with their stories which included their awesome fails. Put yourself out there – Allow yourself to be vulnerable, you will be surprised by the amount of goodwill and support you will receive and you may be shocked to hear nobody is out to get you! Feedback & Reflection – Ask how your session was for your client. Take that rich feedback and reflect on it and use it to make you stronger and more insightful. Knowing that I have enabled someone to see and understand themselves and their motivations. Knowing that this new awareness is completely transportable and can be taken with them whatever direction their journey takes them. The knowledge that Coaching is not just a quick tactical band aid; it delivers lasting change and that gives me fulfilment. PSG: What do you foresee as the key skills our clients will want to focus on for development and growth for the first half of 2017? Their Values – do they still fit, in these changing times? Can they be lived everyday are there any conditions or factors that may influence or jeopardise them and what can they do to safeguard those values? Instilling a culture of trust – treat your staff like adults, share common best interests for the Company. Don’t overlook integrity and make positive assumptions about people where transparency is promoted. This is needed during times of change and growth.